Today we move to the Netherlands for a fantastic track & field venue. 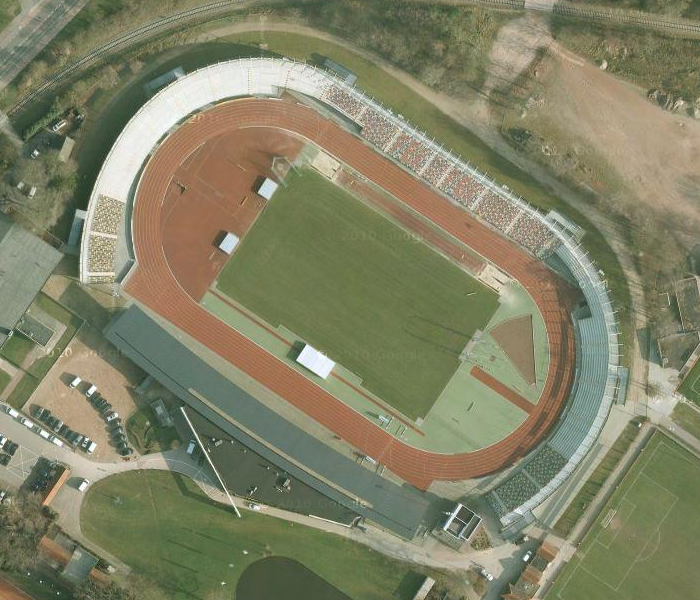 Fanny Blankers-Koen Stadion is a 15,200 athletics only facility. It first opened in 1948, but was renovated a few years ago in 2005. It is named after the Dutch track & field athlete Fanny Blankers-Koen, who won four gold medals at the 1948 London Olympic Games. Be sure to check out her Olympic.org bio page HERE and the video footage from the 1948 Olympics. It’s very interesting and definitely worth a few minutes of your time!